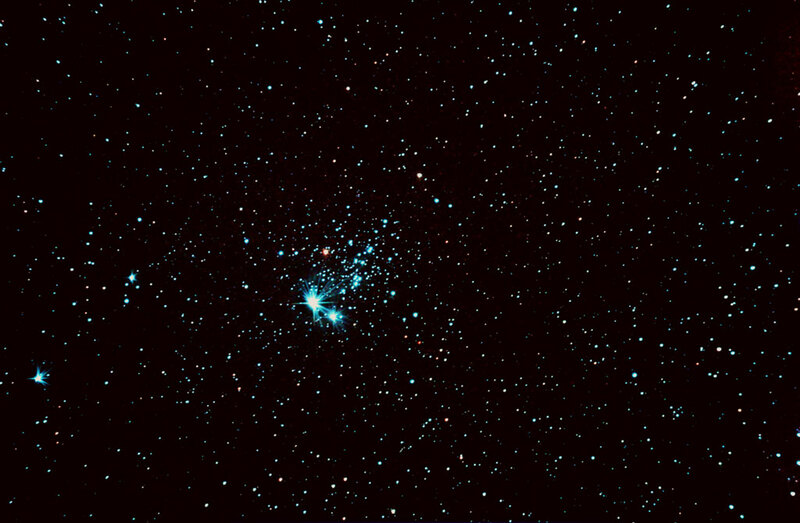 Adrian Brown took this image of the Phi Cassiopeiae Cluster in October 2006. He used an 80ED refractor, a ATK16HR CCD camera, Astronomik RGB filters and an Astronomik CLS light pollution filter. Exposure details were Red 6 x 2 minutes, Green 6 x 2 minutes and Blue 6 x 2 minutes. Maxim DL was used to calibrate and combine the raw exposures. Adobe Photoshop was used to increase the star colour saturation and smooth the background noise. 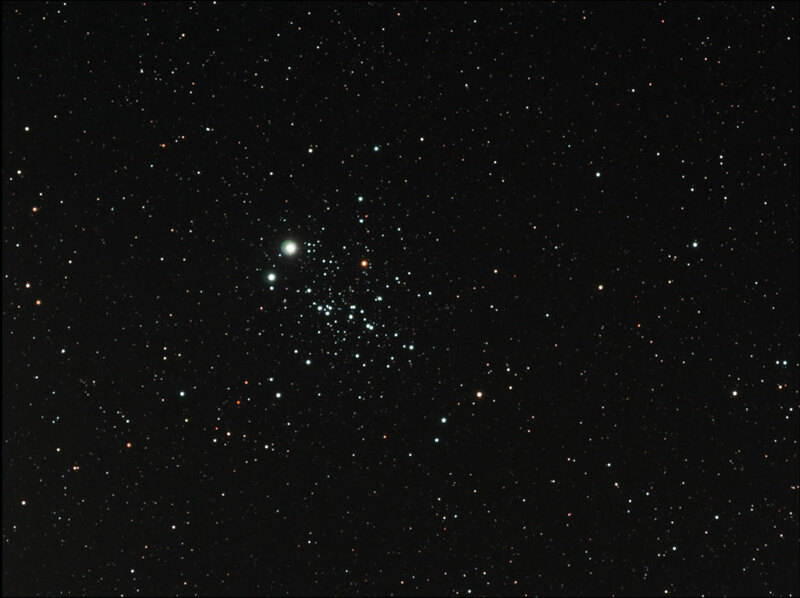 Chris Newsome captured this image of the Phi Cassiopeiae Cluster (Caldwell 13/NGC 457) during the small hours of the 25th July 2006. The image was taken with a Canon EOS 300D camera at the prime focus of a Celestron C8-NGT telescope. This set up was guided by a Meade DSI camera attached to a Skywatcher 80T telescope, and using a GPUSB autoguider controlled by Maxim DL. Eight images each of 6 minute exposure (at 200 ASA) were calibrated and combined in Maxim DL and then processed in CS2. The brightest star in the image is Phi Cassiopeiae itself, although it is probably a foreground object and not a member of the cluster.